In Part 2 of this Cryptocurrency Trading Guide, you will find a list of tips to get you started in trading cryptocurrency. Getting started in trading cryptocurrencies can sometimes be a very confusing process. For beginners and technical newbies, many of the jargons and terminologies can be difficult to understand. Furthermore, there are so many methods to buy, sell and trade cryptocurrencies? How do you know which is the best way? Which is considered a scam? 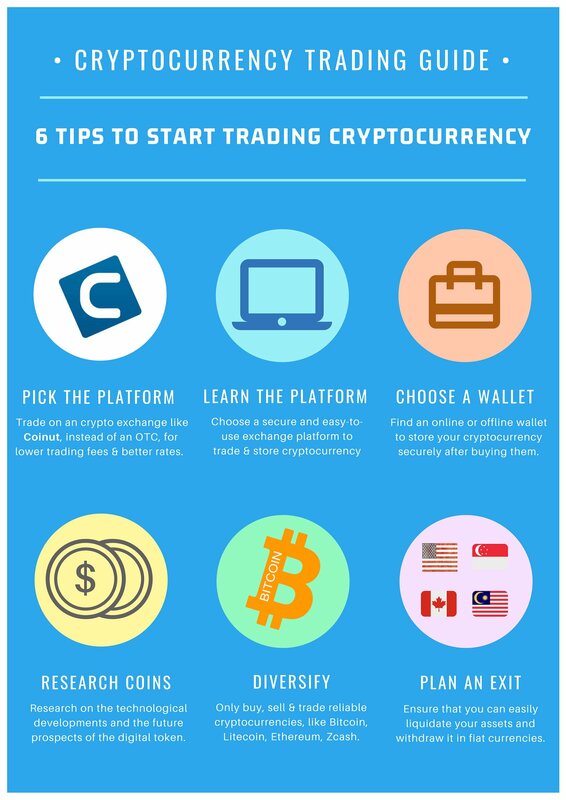 Here at Coinut Exchange, we strive to provide the most easy-to-use platform that allows you to buy cryptocurrencies directly using US Dollars, Singapore Dollars, Canadian Dollars and Malaysian Ringgit. We also pride ourselves on being the most secure and regulated cryptocurrency exchange platform that is registered with Bank Negara Malaysia and registered under FINTRAC - Money Service Business (Canada). You can easily deposit your money and start buying cryptocurrencies on our platform. You can also store them securely on our platform, or store it in your offline wallet too. We only support the trading of reliable crytocurrencies such as Bitcoin, Litecoin, Ethereum, Ethereum Classic, Monero and Zcash. What are you waiting for? Start trading on Coinut Exchange now, while the cryptocurrency prices are still low!